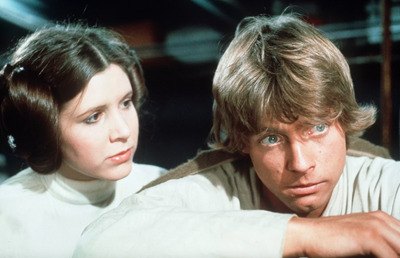 Mark Hamill asked fans on Tuesday to campaign for his late “Star Wars” co-star Carrie Fisher to receive a star along the Hollywood Walk of Fame in time for the release of “Star Wars: Episode IX” next year. The posthumous rule for the honour is a five-year wait, but Hamill thinks with enough support from fans, the Hollywood Chamber of Commerce could make an exception. A real-life Star War is taking shape. Luke Skywalker himself, Mark Hamill, is using the force to get his “Star Wars” co-star Carrie Fisher a star along the Hollywood Walk of Fame – the force of fans, that is. Hamill asked fans on Twitter on Tuesday to campaign for Fisher – who passed away in 2016 – to receive the honour early, in time for the release of “Star Wars Episode IX” next year. The posthumous rule is a five-year wait to receive a star, but Hamill thinks that with enough support, the Hollywood Chamber of Commerce could make an exception. Fisher will appear in “Episode IX” as Leia Organa through unused footage from “Star War: The Force Awakens.” The movie is directed by “The Force Awakens” director J.J. Abrams. “Episode IX” comes to theatres on December 20, 2019.